Thank you to all of the M. A. R.C. supporters across the state of Florida who helped in this fight to maintain our Florida mold professional license status. M. A. R.C. of Florida worked together with Florida mold professionals from across the state represented by several independent professional organizations to defeat first the “out-of-state interest” pushing to repeal the current Florida mold professional licensing law and then the push to deregulate the current Florida mold professional licensing law by eliminating any and all education and training requirements. Tonight, as I watched the live broadcast online and Dan Pollock watched from the fourth floor of the Senate building, and after a lengthy and a hotly debated session the Senate voted against Bolt HB 5005 and HB 5007. The vote came in at roughly 10:10 pm this evening at the tail end of a long and hard five Senate Budget Committee meeting with the final vote on House Bill 5007 22 nays and 18 yeas. The fight on the front lines of the Hill was fought by Dan Pollock of Pollock and Associates. Dan Worked extremely hard on behalf of M. A. R.C. of Florida and all of Florida’s license mold professionals. The real fight takes place every day in the homes and offices of Florida’s mold professionals as they made calls to their individual district representatives and senators and sent hundreds if not thousands of e-mails to their individual representatives and senators in support of maintaining their current professional licensed status. 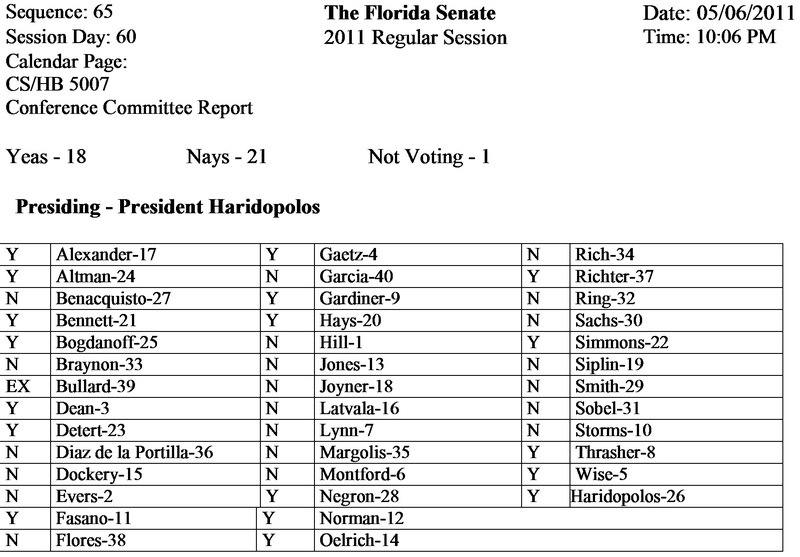 This is an extremely stressful legislative session that ended in the Senate the victory for Florida mold professionals. We maintain the current mold licensing law as it stands with the grandfathering period over and the education and training requirements in place. M. A. R.C. of Florida still needs your continued support as the issue most certainly will rear its ugly head in the next session. Tonight we celebrate our victory as license mold professionals. This entry was posted on Friday, May 6th, 2011 at 10:51 pm and is filed under Commercial IAQ, Residential IAQ. You can follow any responses to this entry through the RSS 2.0 feed. You can leave a response, or trackback from your own site.